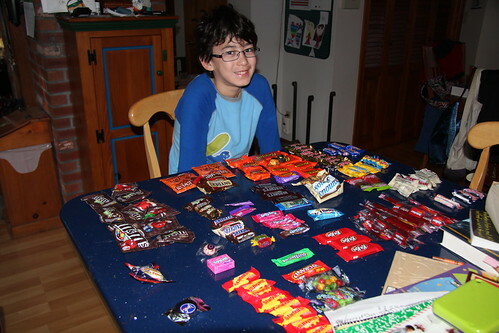 For years, our kids loved to sort candy after a night of Trick-or-Treating. 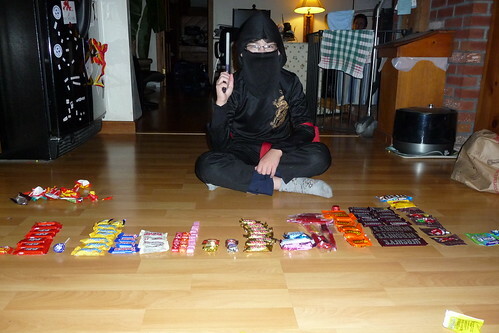 But not all candy are created equal. Especially now that Dova has braces. According to Great Expressions Dental Centers, here are facts and simple tips to make your Halloween a safe and healthy one. Disclaimer: This post was sponsored by Great Expressions Dental Centers for promotional movie passes and dental kits. What's better than hand-crafted chocolates? Harbor Sweets is working with Pollinator Partnership to aid in their efforts to preserve and protect honeybee pollinators. Now you can indulge in gourmet chocolate delicacies and help raise awareness of the plight of the honeybee. 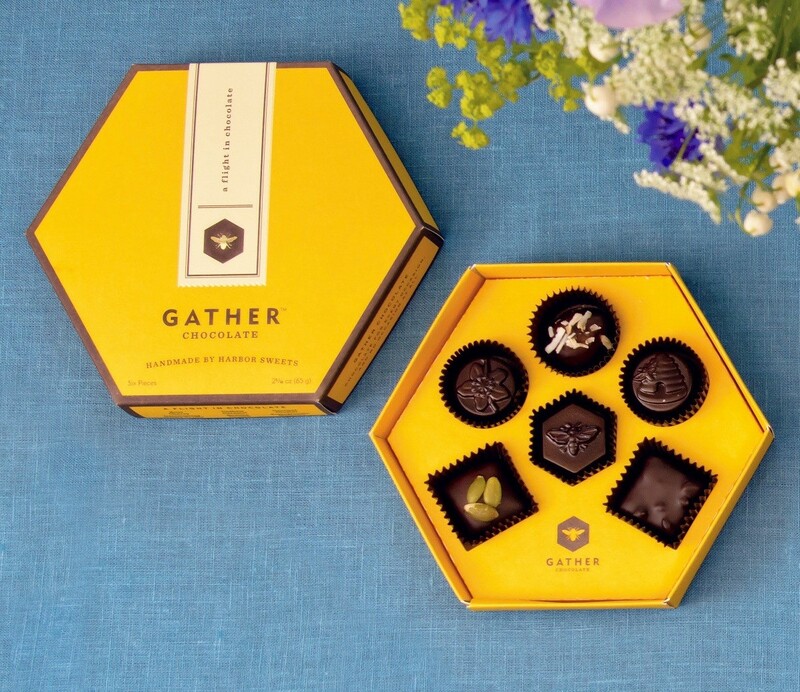 A portion of the sales from Gather (2.5%) will be donated to the Pollinator Partnership. In each "flight" of Gather Chocolate (similar to how you sample beer or wine), there are six varieties of honey-infused dark chocolate. A six-piece box is $12.50 and 12-piece box is $18.50. We split the chocolates amongst my family members and each of us enjoyed them, even the milk chocolate lover. Each chocolate has a rich and distinct flavor, without being too sweet. Harbor Sweets is located locally in Salem, Massachusetts and sold in high-end grocers, gift shops and online. Check out the story behind Gather. 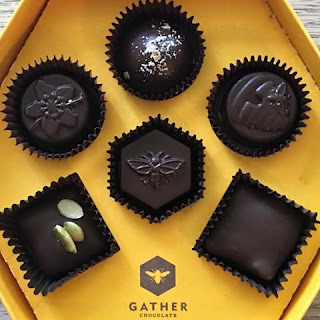 I received samples of the Gather chocolates for this review and giveaway. Yum! 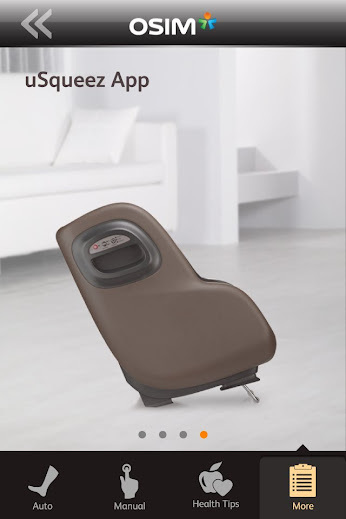 If you don't have a personal masseuse at home to massage your legs and feet after a long day, then you would best be rejuvenated by the OSIM uSqueez App-Controlled Foot and Calf Massager offered by Brookstone. Since this version of the uSqueez Massager is app-controlled, you can connect wirelessly with an iOS device and control your massage. What a great way to spend some quality me time, with an iPad and massage! The uSqueez comes with preset programs which you can run, my favorite was "Pulse". The preset programs are also available through buttons on the side of the uSqueez so you don't have to use an iPad or iPhone to control it. Through the app, you can also customize a manual massage. 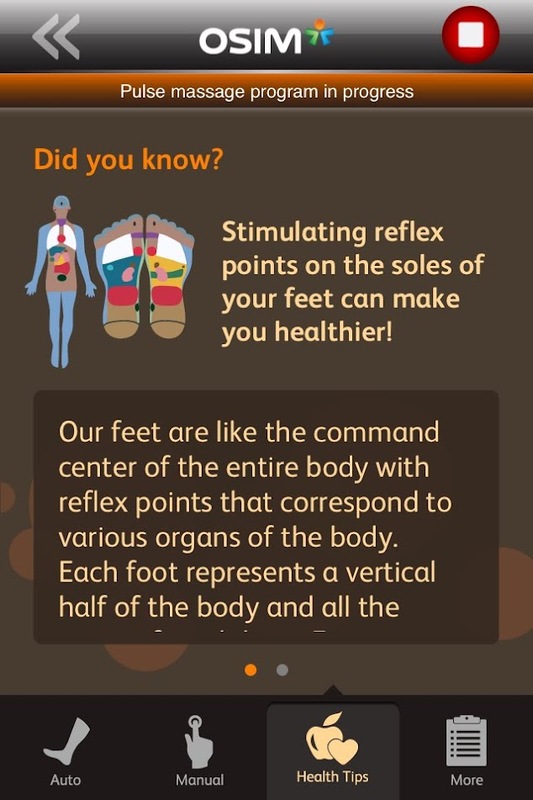 Or you can peruse the app to find interesting facts about massage. Since I'm not much of a manual reader, I also learned that you can change the angle of the uSqueez with a flip out bar. The only problem is keeping the rest of the family out of the uSqueez! The one complaint we had was that it was a little tight for people with athletic calves. Once you squeeze yourself in, the massage is strong and effective! 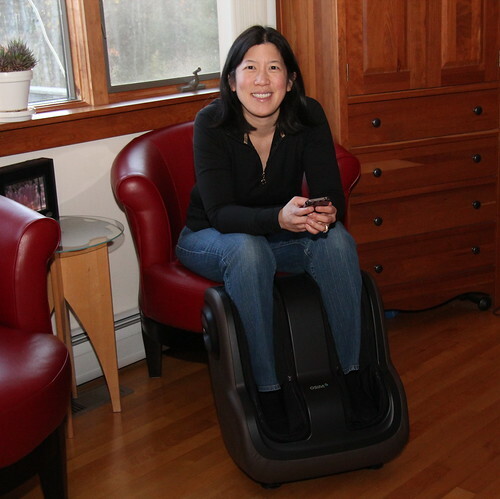 Special thanks to Brookstone for loaning an OSIM uSqueez App-Controlled Foot and Calf Massager to review. Looking for an awesome event the whole family will enjoy? Get your tickets to the Harlem Globetrotters brand new "You Write the Rules" tour. Your family's smiles will start before you even get to the game as the Globetrotters take kid participation to a whole NEW level. Your family can vote at harlemglobetrotters.com and decide rules for the game that could affect the final outcome. With rules like double the points for every basket, and two balls in play at the same time, there's an exciting rule that every kid will enjoy. After the game, Globetrotter stars will stay on court to sign autographs and take photographs with your kids. The only thing better than finding an awesome event for the whole family, is getting a great deal on it. Use the promo code "USFAMILY" when you buy tickets for your family to save $7 on each ticket purchased at http://www.harlemglobetrotters.com/tickets*. Get ready to experience the show your family will remember for a lifetime! Here's a video we took of the Harlem Globetrotters at TD Garden in Boston last year. Special thanks to US Family Guide for providing two tickets for this event! Ever wonder about the story behind the animals of the Chinese zodiac? The Great Race from Barefoot Books retells this story with vibrant illustrations. It also provides intriguing notes about the Chinese calendar, annual festivals, and character traits of the animals that rule different years. I am a horse, which are popular, independent and fun. But of course! My nine year old daughter enjoyed the book as well, although she felt that the cat was cheated by the rat. Hint, have you heard of the Year of the Cat? It doesn't exist! Celebrate the year of the Snake this Chinese New Year on February 10th with your own copy of The Great Race. Xin nian kuai le! To learn more about Barefoot Books, check out their history, blog, and podcast. After my work day is done and the family is fed, I always head to the bedroom for some quality time with my iPad®. OK, this really means that I do a few rounds of Bejeweled Blitz and enter the Cubis Creatures tournament, but nonetheless, it's finally me time! With the Brookstone Shiatsu Bed Lounger, I have the added benefit of Shiatsu massage for my lower back as well as a spot to charge my iPad. The massage action of the Brookstone Shiatsu Bed Lounger is quite effective with four kneading nodules. If you'd rather just lounge, a padded cover folds over the massage nodes. The best part of the Brookstone Shiatsu Bed Lounger is that the foam is firm and durable, and doesn't loose its shape like the old "husband" pillows of yesteryear. These days, my kids have abducted my lounger for sitting on the floor in living room. Who needs a couch when you can get a massage watching TV or playing video games? The Brookstone eComfort Tablet Pillow is finally the answer to using an iPad® in bed. I've always enjoyed using laptops and now my iPad in bed, but there's always the problem of cold hands after holding the device too long. The eComfort Tablet Pillow beats traditional case stands by securely holding an iPad upright on a soft surface completely hands free. With the rotation lock feature of the iPad, I can even lie sideways in bed and enjoy an iBook. The eComfort Tablet Pillow can hold 10" tablets as well as 7" tablets including the Kindle® Fire. I would recommend removing the case while using the eComfort Tablet Pillow, as the X-stand tends to squish most cases. I've switched to using a thin Smart Cover as they are easy to remove for the eComfort Tablet Pillow. If you're an avid tablet gamer or have kids that use tablet devices, the Brookstone Dustin 2-in-1 Touchscreen Cleaning Cloth is a must have accessory. We are constantly cleaning our screens and absolutely love this handy device. They come two in a package, so we don't even have to fight over them. This is the giveaway/review site for mommy bytes. Copyright © 2007-2016 a mommy bytes production. Simple theme. Theme images by merrymoonmary. Powered by Blogger.